Milk production. 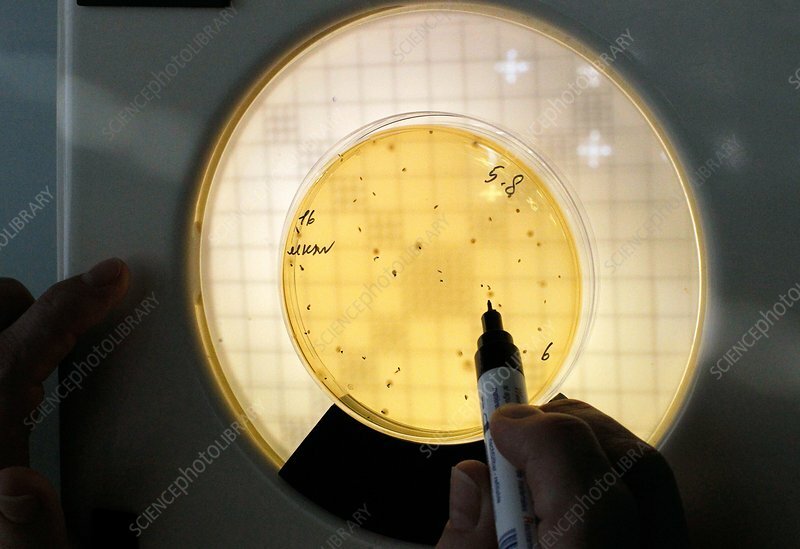 View of a petri dish in which a sample of milk has been incubated. This is to ensure that the milk is safe to process for human consumption. Photographed at the Danone Unimilk factory at Moscow, Russia.